Emily has co-written two youth adaptations of classic Shakespeare plays, which she directed at Creede Repertory Theatre in Creede, CO: Rodeo & Juliet and I, Mac(kers), the latter having been picked up for two additional productions in the state within a year of its premier. Rodeo & Juliet addresses parent/child conflict, unlikely friendships, and following your dreams. I, Mac(kers) takes on the very current issue of cyber bullying in schools. Watching students tackle difficult subject matter and heightened poetic language with such enthusiasm has inspired her to continue writing for them so that they are given an opportunity to have a voice that will be heard over the clamor of an increasingly complex and noisy world. She is interested in addressing all of Shakespeare’s tragedies and adapting them for young performers. Next up…Hamlet and Measure for Measure. As a director, Emily has directed several youth productions and short plays. In addition to directing the two plays mentioned above, she has also directed youth productions of The Wizard of Oz and Willy Wonka. Her newest project will be directing The Wizard of Oz again, this time for Creede Repertory Theatre as one of their mainstage offerings in the summer of 2018. 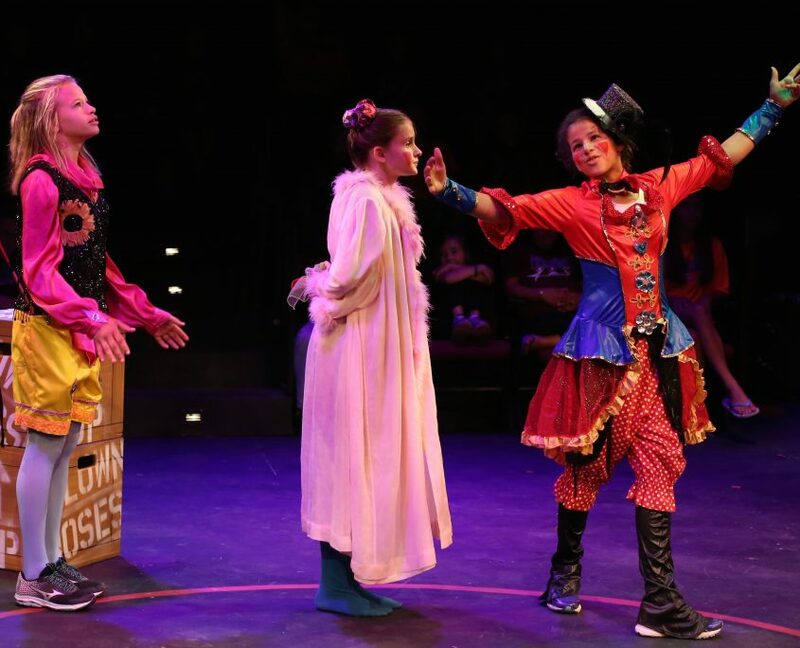 What do a rodeo, a circus, and Shakespeare have in common? Find out with this new adaptation of Shakespeare’s classic. Take Romeo and Juliet, throw in bull riders, clowns, and trapeze, and you get one imaginative masterpiece. Brody and his family’s rodeo have barreled into town only to find that the Capp Family Circus is encroaching on their turf. The two groups fight wildly over who should stay and who should go. Brody, who is not too keen on fighting, has more important things to worry about, like how soon can he get a ride on the meanest bull in the world, El Toro Diablo? Meanwhile, Juliet, daughter of Lady Capp the ring madam, has ambitions to cast aside her mother’s wish that she become a trapeze artist, and secretly trains to be a clown instead. Amidst the fighting, these two find unlikely friendship and support by helping each other achieve their dreams – despite the wishes of their feuding families. What happens when their parents find out their kids are fraternizing with the enemy? I, Mac(kers) is a modern retelling of Shakespeare’s classic, Macbeth, told Hamilton style with rap-cadenced dialogue, contemporary references, and a timely message about cyber bullying and narcissism. This story uses spoken word and cell phones to tell the cautionary tale of an aspiring but morally compromised high-school thespian who succumbs to the temptation of social media and technology to fuel his ambition by spreading rumors and manipulating his fellow students. 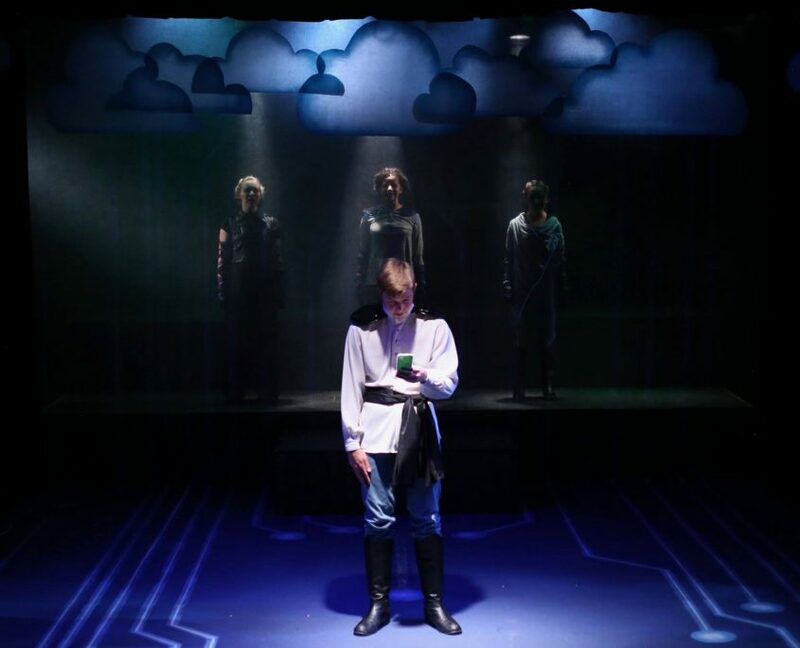 Follow Martyn as he navigates right and wrong in his pursuit of the ultimate goal: to play the title role of Macbeth and lead Heath High School to victory at the National High School Theatre Awards. With advice from his drama teacher, Mr. Ross, and his overbearing stage mother, Mama Martyn – not to mention the nagging prophesies from the 3 Glitches about his inevitable success – Martyn will have to choose how he will use the power of technology at the tip of his fingers. Will he use it for good? Or will he use it for destruction?